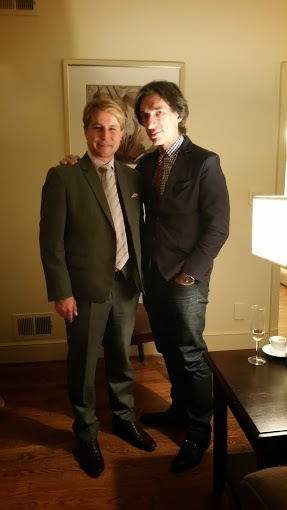 It was a lovely evening for fundraising with The Washington Ballet Saturday, 8 November 2014. The new edition of performers and the charm of the artistic director Septime Webre were only exceeded by his impromptu Cuban salsa in sync with his Latin ballet dancers. The Washington Ballet's Women's Committee, Jete Society and Latino Dance Fund Host Committee presented the "Noche de Pasion: Tango Soiree" to its patrons and guests at the Organization of American States Building in 200 17th Street in NW Washington, D.C. The venue was transformed into a Buenos Aires Tango Club. Around 500 guests attended the ballet fundraiser, including the ambassadors of the Organization of American States as well as leaders in the business, arts, politics and the community. 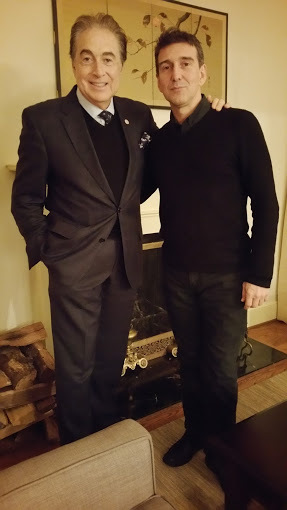 I had dinner the night before with the Ambassadors of Spain, Uruguay and Argentina. 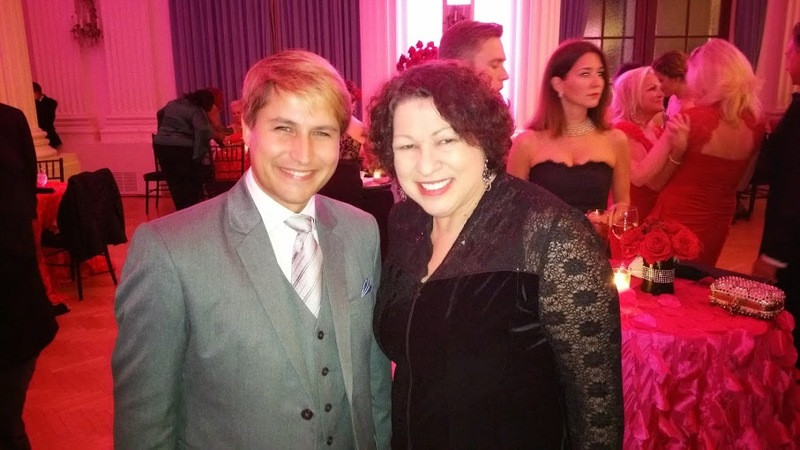 Supreme Court Justice Sonia Sotomayor also attended this fundraiser. I was glad to see her, and be able to exchange views on legal aspects of the new financial regulations. After dinner, we watched the performances of The Washington Ballet (TWB) that Septime Webre, TWB's Artistic Director, had put together for us. The soiree ended with a dance party. We watched the stunning fusion of tango and ballet by Julio Bocca, the most important Argentine dancer of all time, who was invited to join the American Ballet Theater by no less than Mikhail Baryshnikov when the former was only age 18. Julio now runs the National Ballet of Uruguay as its artistic director. Everyone enjoyed the dance performances, and more than 30,000 dollars were raised during the event from their various silent auction items. This amount is part of TWB's annual pledge of 435,000 dollars to support their scholarship programs and the Latino Dance Fund. Last October 26, The Washington Ballet had successfully met their funding goal and raised 12,065 dollars online via the crowdfunding platform Indiegogo for the dance scholarships of eight additional students. I am advising them on their crowdfunding campaigns for these past years, and they are making progress on their online fundraising efforts. The Washington Ballet has an in-depth program throughout the DC region -- teaching children how to dance ballet. I would like to see more efforts in the world of arts and culture in the different cities to allow us to enjoy, appreciate and learn from what arts and culture can bring to us. 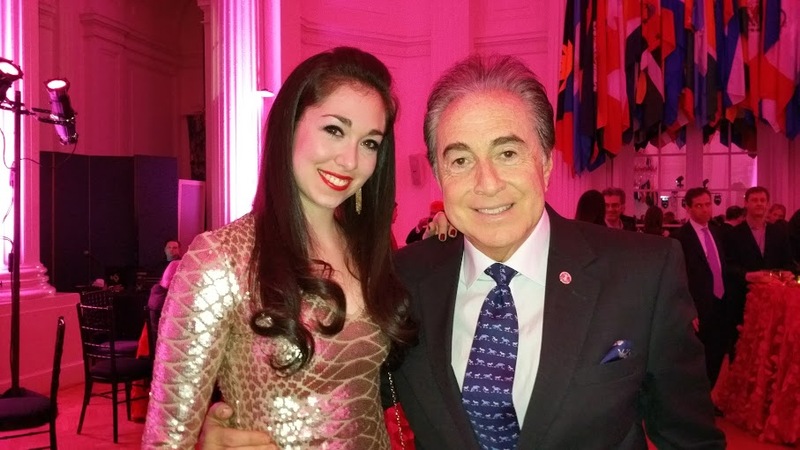 Bruce Lipnick, Founder, CEO and Chairman of the Board of Asset Alliance and of Crowd Alliance, says, "My daughter's been dancing with The Washington Ballet for a few years now. I've been supporting it every time I have a chance to go down to DC. I'm very proud of their success and looking forward to the Nutcracker season starting in December." Bruce is a large benefactor of The Washington Ballet. He also supports the New Combinations Fund for the New York City Ballet and The School of American Ballet. Moreover, Bruce is a patron of the Museum of Modern Art (MoMA) and the Metropolitan Museum of Art, both located in New York City. He is also the past Dinner Chairman of Petra Nemcova's Happy Hearts Fund, a non-profit organization that rebuilds safe-resilient schools in areas impacted by natural disasters and working in nine (9) countries. In 2008, Bruce received the Lifetime Humanitarian Award for Giving from Hedge Funds Care where he served in the past as a board member. Hedge Funds Care, also known as Help For Children (HFC), is an international organization that supports prevention and treatment of child abuse, primarily supported by the hedge fund industry. Mr Lipnick was the "Entrepreneur of the Year" by Ernst & ‎Young and "Executive of the Year" by Who's Who in 2012. Bruce Lipnick has a startup called Ver-on-Demand where he joins iconic content providers to bring videos of opera, ballet, musical concerts, and other live performances to the masses. He will be offering it online to the general public by 2015. It will allow people to enjoy artistic performances at the comforts of their own homes. Instead of buying tickets for the ballet or opera that are quite costly, we will now be able to subscribe to it like Netflix or Amazon Prime. I can't wait to see these collections made available online. Thank you for an amazing evening, Mr Webre and The Washington Ballet. I am looking forward to the next ballet event.